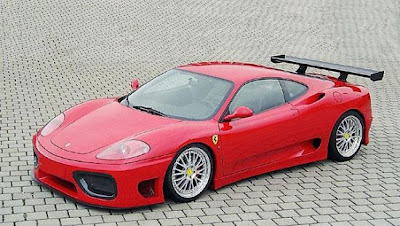 Ferrari 360 GT is one of Ferrari production car designed specifically for race cars. 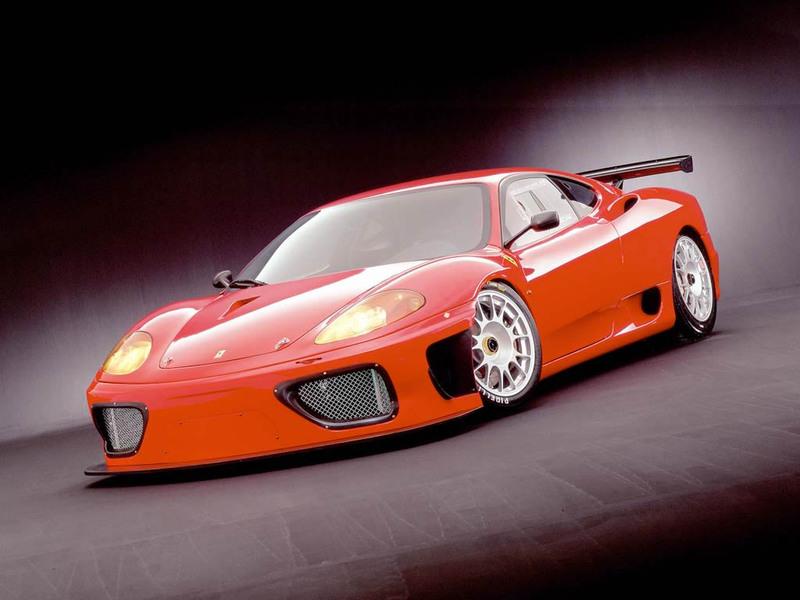 With a futuristic body, and the machines that are quality, 360 GT won several victories and at the same awards in racing. One of them is now winning the race in the event JMB race in Estoril. 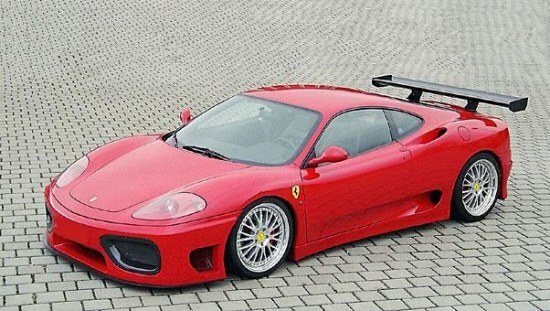 This is proof that the Ferrari 360 GT is one of the cars with speed and power are balanced in every race. The 2002 Ferrari 360 GT is very much like the cars that JMB raced in 2001. Again, Michelotto is responsible for the body developments which hold Pininfarina's original lines. Bodywork revisions include a NACA duct on front lid for interior cooling, wider front and rear fenders, a larger, more developed rear wing and a new front valance which can support the optional driving lights. Since the introduction of the 360 Modena, Ferrari has received numerous requests for factory-prepared cars for other international championships. With the help of factory backing, the JMB Competition team 360 fought off the Porsche competition to take the 2001 FIA N-GT World Championship team and drivers' titles. On the strength of this showing, Ferrari has decided to produce a specific model - the 360 GT - derived from the Challenge car for privateers in the FIA N-GT and A.C.O. (Automobile Club de l'Ouest) championships in 2002. Production will be strictly limited to around 30 cars over the next three years and the ex-factory price (ie. excluding tax and delivery) is 382,000 Euros for the FIA version, and 402,000 Euros for the ACO version. The two versions differ exclusively for the aerodynamic packages and, in the case of the FIA car, the adoption of the F1-style shift. As for mechanics, Ferrari has considered every component. The engine features, high-lift camshafts, lighter pistons, reshaped combustion chambers and re-mapped motortronics. Even with two 30.8mm air restrictors, the engine produces 430HP. This is a remarkable figure given that air restrictors stop about half of the air reaching throttle bodies. The suspension remains similar to the production 360, having harder springs, shocks and an adjustable anti-roll bar. Like every race car the 360 GT is stripped of its interior luxuries with all non-essential components removed. The gauges are replaced with a digital display and a full roll cage is installed. In total, Ferrari engineers shed 600 lbs off the production 360, which makes it 400 lbs lighter than the Challenge car.